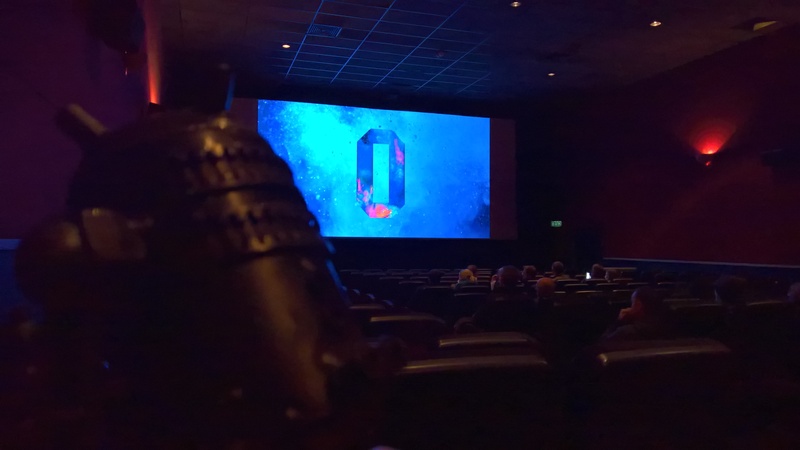 R2D2 enjoyed his night out to see Rogue One on Thursday night. He’s been looking forward to it for weeks now and has been beeping and whistling about it increasingly over recent days. 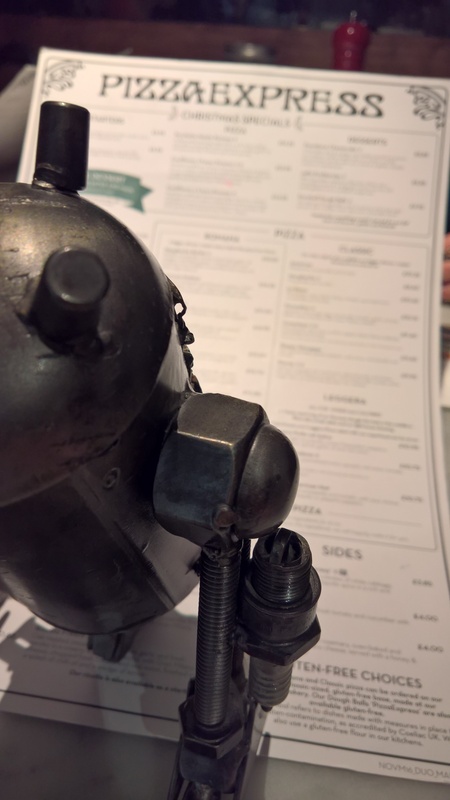 Before heading off to the pictures we booked a table at Pizza Express in Hatfield for an excellent family meal although, sadly, his friend C-3PO wasn’t able to make it due to him still recovering from his hangover after all of his parties with R2D2 while we were away over Christmas. R2D2 was so impressed with the service he insisted we left a good tip. Onto the pictures and he insisted we have a proper look at the merchandise but, frankly, he wasn’t impressed as there didn’t seem to be any figures of him. We tried to tell him that he wasn’t in this story and, believe me, he was having none of it and said he’d manage to beep his way into it if he could possibly manage it. Inside the cinema we had good seats quite close to the back, although he was a bit annoyed with the three lads in the row in front of us who kept getting up to go out to the loo (or something) throughout. If you can’t take your Pepsi don’t drink it I say. It was as much as I could do to stop R2D2 threatening to call in an X-wing strike on them on the way home. Honestly, when he gets annoyed there’s no stopping him. The film itself fits into the Star Wars canon at a point just before the start of Episode 4, A New Hope. During the film the rebels discover the existence of a super weapon and have to decide what to do about it. By the time Luke Skywalker come onto the scene in Episode 4 this would have happened, making this the back story for the first film in 1976. Apparently there is a plan to make a further two films in this series effectively making them Episodes 3.1 to 3.3 before Luke Skywalker makes his entrance with Obi-Wan Kenobi in Episode 4. Over the next few films we can expect to see cameo appearances from quite a few of the old favourite characters. If you find this all too confusing just sit back and enjoy the spectacle. We all thought the film was a splendid return to the great days of Episodes 4, 5 and 6. 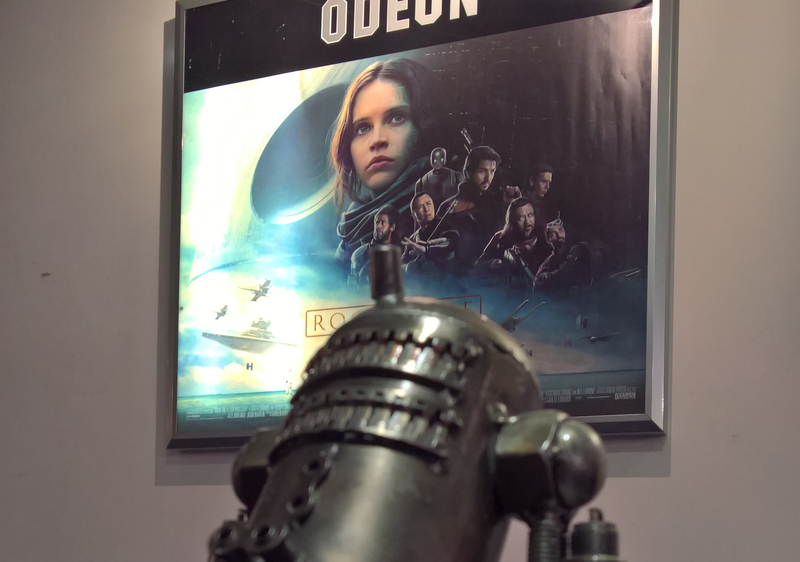 Although he enjoyed The Force Awakens (Epidose 7), R2D2 thought Rogue One included lots more references to the original films with plenty of unnecessarily precipitous risks and a return to the days of immense star-ship battles featuring characters from the early films such as his old favourite Admiral Raddus. 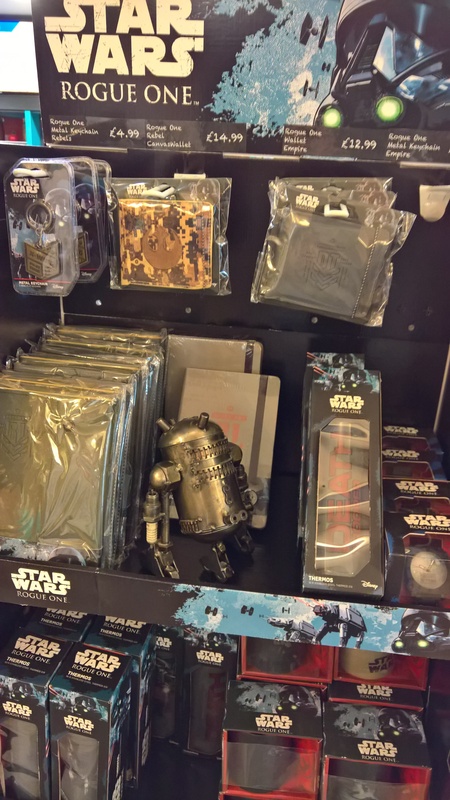 Of course he was a little unnerved to see some of his old adversaries and we had to coax him out from under the seats with the appearance of Darth Vader.